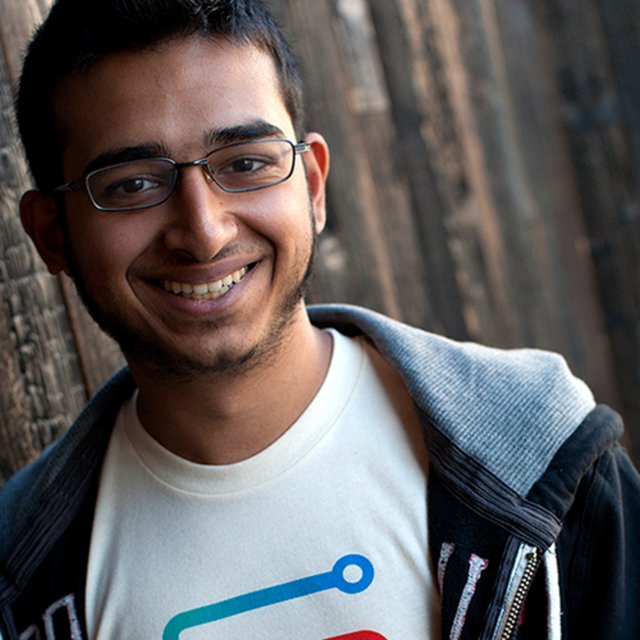 When Sahil Lavingia founded Gumroad in 2012, he got a lot of attention. At age 19, he was one of the youngest entrepreneurs in Silicon Valley, and the press went wild with words like “wunderkind” and “prodigy.” But Lavingia has never shied away from admitting what he doesn't know or where he lacks experience. His approach has been largely defined by surrounding himself with similarly brilliant people and watching how things unfold — a method that has turned Gumroad, a platform where people can sell their own digital creations from books to art to music — into one of the best functioning startups that maintains a flat management structure. Cutting through all the buzz about holacracy (the no-manager system used by Medium and Zappos), Lavingia and Gumroad are creating their own definition of flat. In many ways it's less intentional than it is advantageous. With all 20 of the company's employees technically reporting to Lavingia himself, they've been able to grow the platform lean and fast, onboarding millions of customers — including many who depend on the site for their entire income. In this exclusive interview, Lavingia explains how startups can stay flat, the benefits to this strategy, and how to know when change is necessary. Flat organization structure is defined by lack of hands-on management, a high degree of autonomy, and everyone being empowered to make important decisions for the company. When this is the case, you want to make sure that everyone is operating with the same information, thoroughly understands how the company thinks about its goals and position in the market, and takes a similar approach to problems and challenges. The people who define the choices have more power than the people making the choice. This is one of the most important lessons Lavingia has taken away from his experience — not in the sense that he wants to restrict creativity or narrow employees' options, but because it conveys the importance of having a unified sense of purpose and similar toolsets. When you have this sort of default in place, you can trust the people you work with to do right by the company without oversight. If you can achieve this, you'll save tons of time and people will generally be more satisfied with their jobs. In order to initiate new employees into the system — many of whom are nervous about making the bulk of their communication public — the team suggests that they subscribe upfront to only a handful of 'rooms' on HipChat that make the most sense for their role. The idea of having smaller 'rooms' where conversations are ongoing and focused on one goal or topic in particular helps break the system down into more manageable chunks, and immerses people quickly by encouraging them to share their expertise. “We help people decide which rooms matter to them, and those are the ones they get to 'live in' from day to day,” says Lavingia. “There are rooms organized around teams, around product features, around bugs or one-off challenges. There's a recruiting room where we have all of our conversations about new positions and hires. The key is that it's really dynamic. If a big project or theme comes up, we create a new room. If something wraps up, we close that room. People can join and leave rooms as they please, so if they're curious about what's happening way over there in another department, it's easy to see what's going on." This ends up being much easier and more inclusive than starting email threads or mailing lists. “Generally, you can't really spin up or spin down an email thread. Whoever you put on there from the start ends up being who's on there. You forget to add new people who it might be relevant to, and then when it stops being useful it just sort of dies without any of that information being captured somewhere central,” says Lavingia. At Gumroad, HipChat rooms have entirely replaced email for group communication. The company has also closely paired HipChat with Asana to keep all conversations associated with concrete projects. Whenever a new Asana project is opened, a HipChat room is created to go along with it so that all discussion on the topic is logged somewhere readily accessible. This discussion may move fast, with lots of new ideas or changes proposed, but Asana is only updated when progress has actually been made. Before becoming Founder and CEO of Gumroad, Sahil Lavingia served as one of the earliest engineers and designers at Pinterest (all before turning 19). He tweets at @shl. We call Asana our 'Universal Truth' because it contains the most up-to-date snapshot of what's happening at any time. One of the best parts of using HipChat and Asana in tandem is that you're essentially building internal documentation as you work, Lavingia says. Not only do you see how fast you were able to make progress on a particular project, you can also go into the conversation logs and see what problems the team confronted, how they worked around them, what solutions ended up working the best. All of this material is stored automatically and is searchable. So, for instance, if someone comes in and wants to learn about past user acquisition efforts or engineering sprints, they can dive right in. "I was a product designer, so I know that if a feature is hard to use or hard to find, people simply won't use it," says Lavingia. The same goes for internal tools and processes. Because flat organizations depend on shared information and a common understanding of what everyone is doing, it's critical to eliminate friction. Everything you do, and the systems you put in place should be immediately intuitive. New hires should be able to get involved in conversations right away. If someone needs data from another team, it should be exactly where they'd guess it would be. There's a difference between making information available and making it accessible. Accessible means easy to find, understand and use. That's what you want. Tier One: You know who you can ask to get the answers you need. This is actually the worst way to find what you want. It's heavy lifting for everyone involved and takes up multiple people's time. Tier Two: You can search for the information you need and have it presented in some format that you probably have to dig through. This is a little more scalable, but it still takes time and isn't perfect. Tier Three (the best tier): The interface you're working with is designed so that it's immediately intuitive how you should proceed. It walks you through the information you need and tells you how to apply it. As a product, Gumroad is designed with Tier Three in mind — ideally leading digital product creators through the platform in a way that eliminates questions and saves them time. As an organization, it's structured the same way. Instead of employees asking the person next to them how to think about a problem, they're encouraged to tap into the knowledge already available on Asana and Hipchat, and add to it as they learn new things. Fewer tools means that people need to be more resourceful, and this is a quality Gumroad hires for aggressively. “One of our core values is that you have to be comfortable with being uncomfortable,” Lavingia says. “Employees are told upfront, during the interview process even, that they should expect to be outside their comfort zone on a weekly if not daily basis.” This is how Gumroad determines if candidates are built for their way of thinking. Some people get really excited about this, and that's exactly who the company is looking for. The great thing about not having a ton of process is that you move a lot faster, and you can react on a case by case basis. According to Lavingia, when you boil it down, management is really about two things: Trust and clarity. If you're a manager, your job is to reinforce clarity and make sure everyone knows what's happening and what's important. It's also about building trust with everyone who works for you so they know you're looking out for them and that you rely on them to do the right thing. Keeping a company flat is all about finding creative ways to achieve trust and clarity without the bureaucracy. A flat company is founded on the idea that trust shouldn't only exist between a manager and their reports. Everyone within the company should trust everyone else they work with too. That's how you end up moving really fast, and when you're a startup, speed can change your fate. To rethink ways to establish trust and clarity, Lavingia and the Gumroad team have taken every component of traditional management structure and flipped it to fit their needs. One of the biggest challenges with staying flat is that you lose some accountability. To counteract this, Gumroad has instituted a quarterly OKR system that is also viewable by all employees. Using 7Geese to manage these OKRs, it's possible to look up what anyone in the organization is working on, the progress they've made toward their objectives so far, and the actions they've pledged to take during the quarter to produce results. It also ensures that individuals' objectives are logically connected to organization-wide goals that Lavingia sets based on feedback from the whole team. “We tell everyone if you look at your calendar, you should be able to see how your objectives map to the time you have and how you will spend it,” says Lavingia. “When you set up these types of tools for people and tell them to make it a priority, they will do it. You only want to hire people who have this discipline.” In fact, Lavingia has found that autonomy encourages people to be more disciplined. Things break down when people believe they're being micro-managed. Suddenly they think, 'Oh, now I can afford to drop the ball because someone will pick it up. For this reason, you want to emphasize to your employees that they are largely on their own in their roles. That's when they really start feeling and appreciating the trust you've invested in them. People have a strong instinct not to disappoint a system that gives them so much ownership. A flat structure surfaces and amplifies this instinct. We know there will be gaps. When we see a hole, we understand that it needs to be filled, sometimes by a new hire, sometimes by a tweak to the process. There are two areas in particular where flat structure collides with rapid growth: Feedback and personal development. Startup leaders should keep their eyes peeled for opportunities to provide feedback and help their employees grow as individuals all the time. When a company is flat and there's really only one manager who has limited time, it's no one's job to do these things. Employees need to be reminded continually to be very intentional and proactive about doing this for each other. Otherwise you'll be limiting who you can work with and how good they'll get. To encourage people to give their co-workers feedback, Lavingia urges them all to express their opinions, make suggestions, and review performance within the 7Geese tool. This ensures that important feedback doesn't get lost or forgotten — it makes it available in a chronological record that people can go back to to see what they should do better or how they've improved. Going forward, the tool will allow Gumroad to create a standard feedback template that can be circulated by people who want more information about their performance. This goes back to making processes intuitive and easy. The key to getting feedback circulating throughout your org is to lower people's barrier to entry, Lavingia says. It shouldn't be confusing or intimidating to share your thoughts in real time. Lavingia himself has also accepted a huge chunk of the responsibility. He holds one-on-one meetings with everyone in the company at least once a month and spends the bulk of the time giving and discussing feedback. He emphasizes that this is their opportunity to discuss performance, raise anything that is slowing them down, and work through issues together. In addition to this, after any major project, the team involved runs a post-mortem. This isn't just for the engineers — it's also regularly practiced by the growth, support, design and communications teams. “Post-mortems are a great way for people to talk very frankly about what went right or wrong, what lessons to take away, and what they should do the next time in a similar situation,” Lavingia says. “Notes from these sessions get published to everyone in the company, are stored in Google Docs for posterity, and get rehashed during weekly all-hands meetings on Fridays.” Lessons from one team or project can be broadly applicable to everyone in the company, and the more these takeaways are repeated, the more likely they are to be internalized for next time. Even when Gumroad scales, it will continue to rely on software, urge people to honor universal truths, encourage over-communication and automate process — all of the tenets that have allowed it to remain flat for so long. “The default will still be to get out of the way, trust people to do their jobs, and make sure we vet new employees so they are good fits from the start. But the real secret is this: Re-evaluate often and be okay with change." Lavingia is always asking himself whether the systems they use today will still work when Gumroad doubles in size. He estimates that this gives the team about a year of buffer to think about how things should evolve, gather feedback, and try things out before it's absolutely critical that they work. One of the problems he already anticipates is that recruiting senior leaders will become more difficult as more are needed. “Our structure means hiring leaders who are okay without a title or reports, leaders who are comfortable being on a team where everyone else is a leader too." This is the type of issue Lavingia starts thinking about early and often before it gets serious. Everything we do is less about maintaining a flat organization and more about building the right type of company to build the best product we can.